Veeam Backup Enterprise Manager allows you to perform a number of operations with encryption keys. For more information on the actions with the encryption keys, see Managing Encryption Keys. 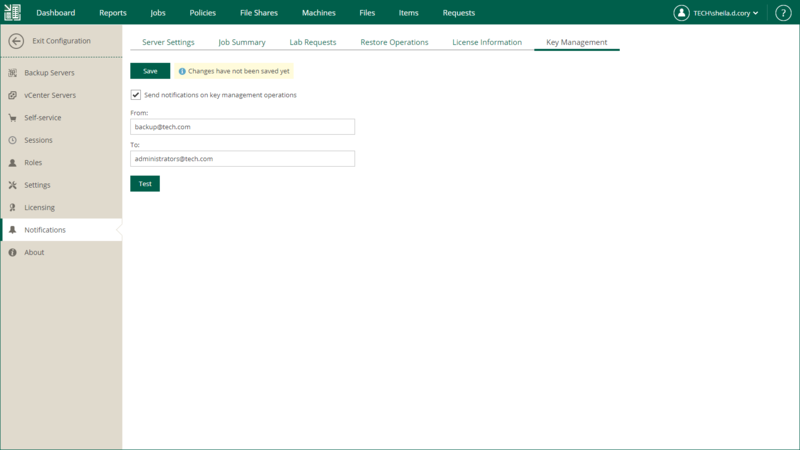 You can configure Enterprise Manager to get informed on the following key management operations: key expiration, key deletion, key modification. On the Key Management tab, select the Send notifications on key management operations check box.